Irwin Kishner was quoted in Real Estate Fund Manager article “Analysis: Non-SEC Registration,” where he cautioned against real estate fund managers de-registering with the SEC. “Most [public pension funds and other large institutional investors] hire a bevy of outside consultants [to review their investment advisers], and whether these advisers are registered or not is a big item on their checklist,” he said. 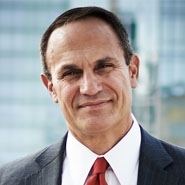 “When you think about how many billions of dollars [these investors] invest, you are at a significant competitive disadvantage if you are not a registered investment adviser.” In doing so, Irwin said he would not characterize the interest in de-registering as a significant trend; rather, anecdotally, some registered funds are considering whether it is an option, given the high costs and administrative burdens of compliance.